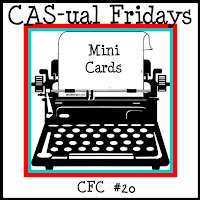 My first challenge to share is for this week's CAS-ual Fridays Challenge (CFC20). 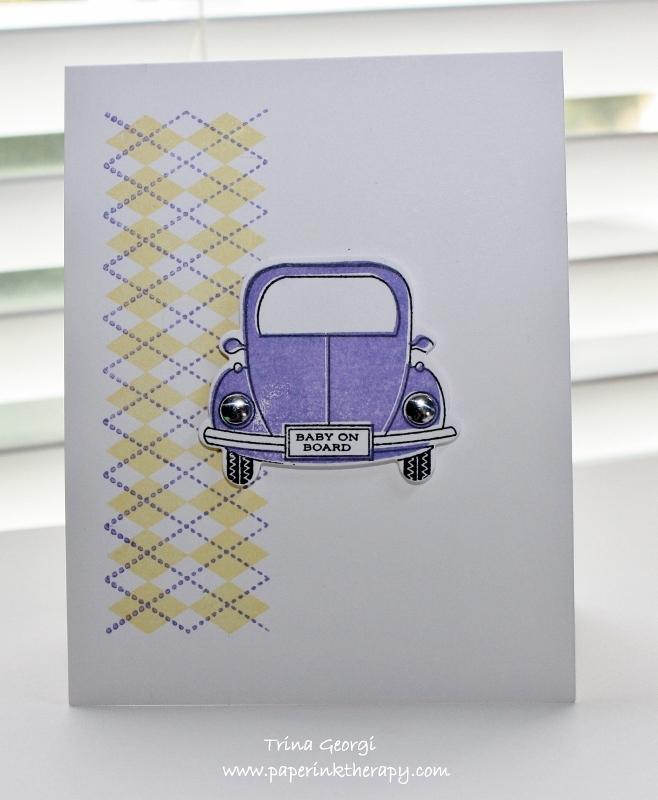 This week's requirement was to make a mini card no larger than 4"x4"...mine ended up being 3"x4". I thought this picture showed PTI's impression plate a little better. 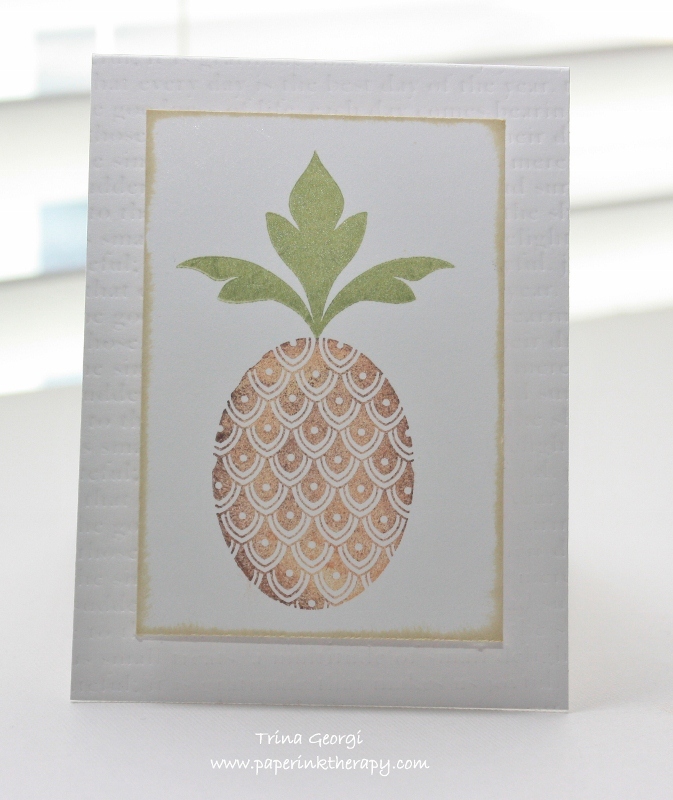 For the pineapple body, I first tapped on yellow, followed by orange, and then very lightly with brown, which came through more than I wanted...oh well, I guess it's a very ripe pineapple...hehehe. I just found out that my best friend (since 5th grade!) 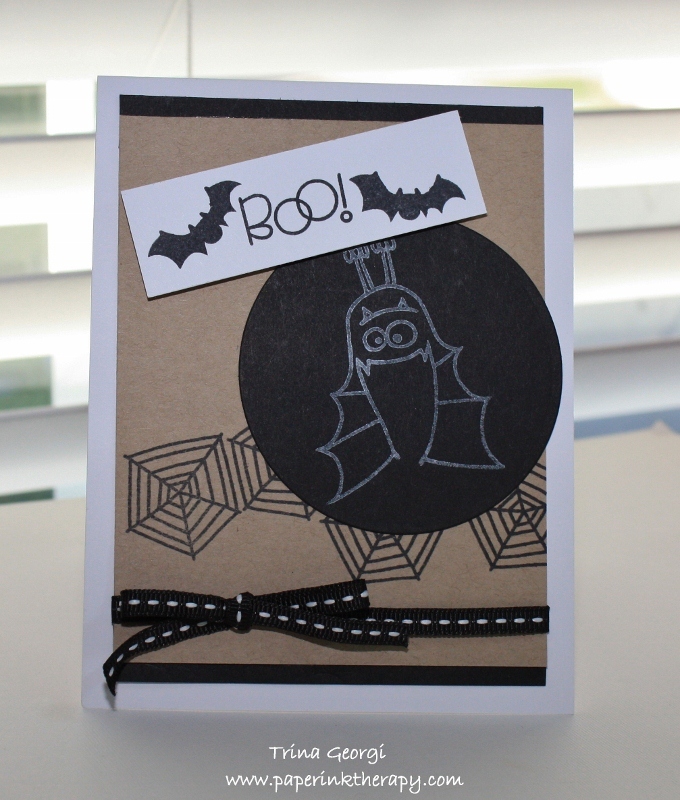 is pregnant, so I thought I would make a cute and fun card for her. In case you were wondering, I used metal dots for the headlights...couldn't decide to use these, or glossy accent. That's all folks...hope you have a wonderful week. WOW! 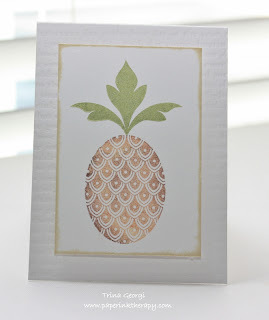 What a fantastic collection of challenge cards :) I love that pineapple against the fabby texture, so glad you shared with us at CAS-ual Fridays! AND, your colors are perfect and congrats to your BFF! Thanks for playing with us at The Play Date Cafe! Wow, great job, Trina! You do not waste your weekends! I can never choose a favorite from your cards, but I love the sophisticated look of the Halloween cards, and the color fading on the pineapple is so pretty! Wow, Trina! They're all fantastic! 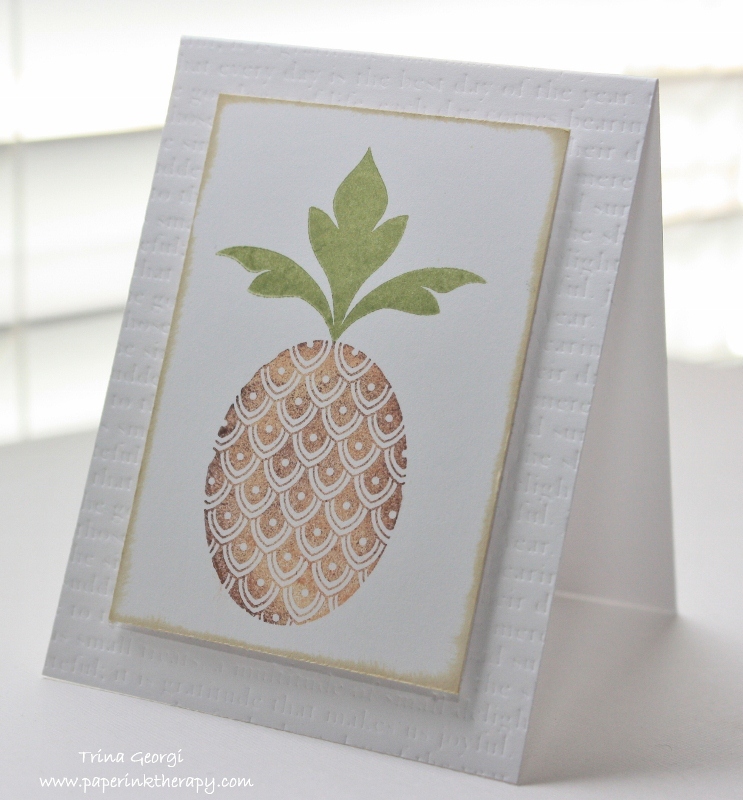 I started thinking "Cute pineapple" (I love pineapples), then moved on to "Great idea!" 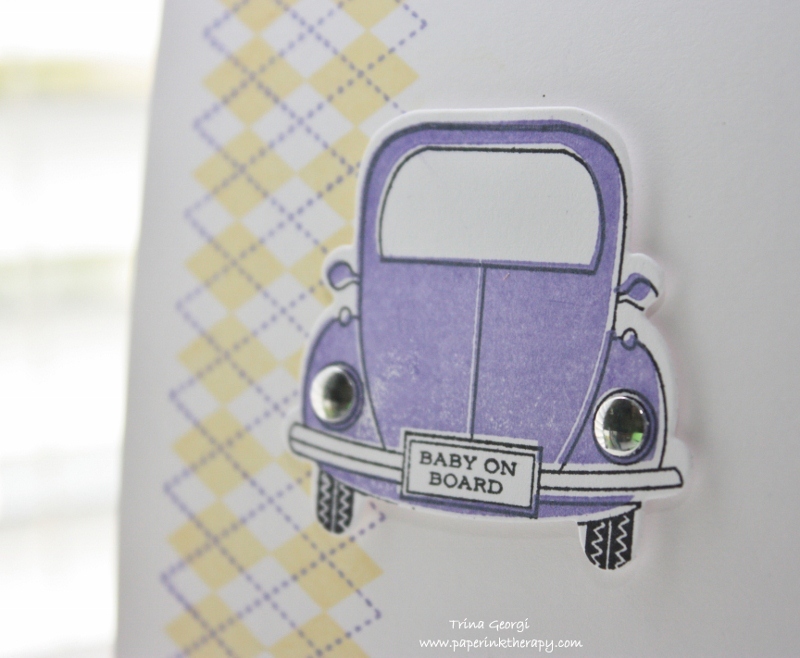 for the baby on board (and I loved the metal dots), and then lastly "WOW!!" that CASE works so well and is so different to the original! Trina, thanks for mentioning the pencil/baby oil art you did with Kendyl! I've got to try that with Emma and Jacob - so fun! 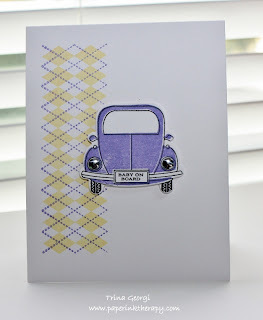 They are all super cute, but I especially love the little VW car! So cute. What beautiful cards, all perfect for their respective challenges! Glad to have you playing along with us at both CASE Study and the Play Date Cafe!